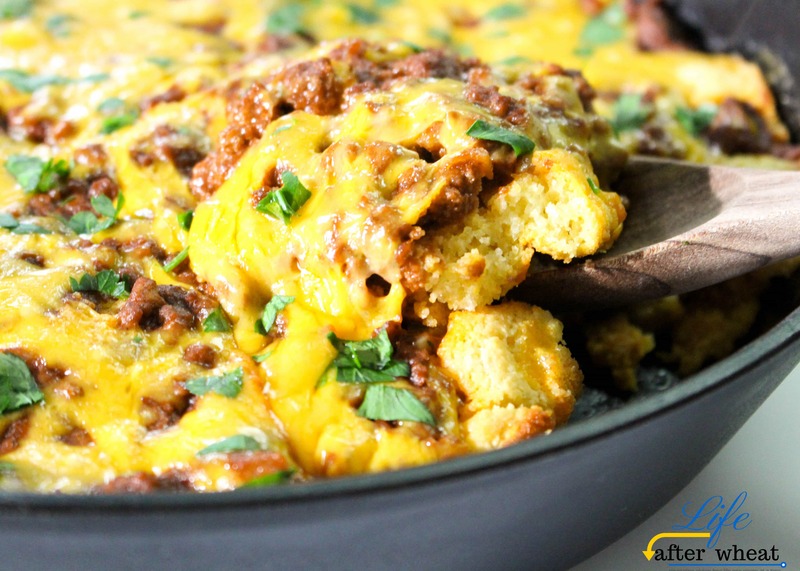 Gluten free tamale pie is cornbread topped with a savory meat filling. All the goodness of a classic tamale but without all the effort! This Gluten Free tamale Pie is a fan favorite at my house. A few years after we were married (and pre-food allergies), I stumbled on a recipe for tamale pie and knew I had to try it. I’ve always loved a good tamale, and making it into a one-dish meal certainly sounded appealing. It was a good one and we made it many times, but it was forgotten after we had to start eating gluten free. A few months ago I was sorting through all my old recipes and came across the tamale pie. Now that I feel we’ve gotten this gluten free thing down, I was so excited to whip up a gluten free version of it! I used my favorite gluten free cornbread recipe as the base, and made a few other tweaks to get just the right flavor combination. I think you’ll love this simple, flavorful, and EASY dish! , which is listed under $20 right now on Amazon. Please note that because cast iron is porous, you’ll want to use your pan only for gluten free. 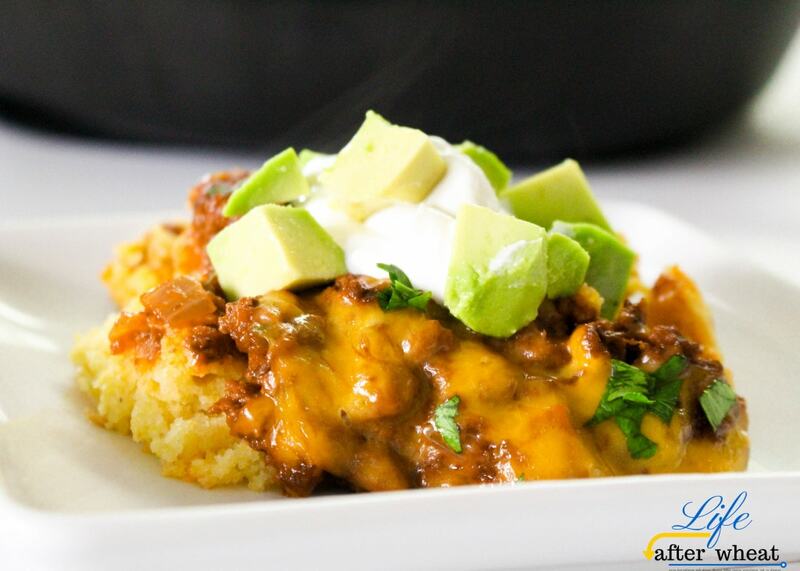 You can customize this gluten free tamale pie by piling on your favorite toppings. Think sour cream, chopped avocados or guac, green chiles, fresh cilantro, a little squeeze of lime or even refried beans. It’s a fun dish the kids will love as much as the parents! You could even make individual ones by baking in well-greased muffin tins and scooping out with a spoon. Technically speaking, my husband is the only person in our family who has to eat gluten free. But about a year after his diagnosis I realized it wasn’t practical to make two separate dishes of everything for dinner. The worries of cross contamination further complicated things so I decided to throw out all the wheat flour and just make the same thing for everyone. Our kids still eat wheat bread and sometimes pasta and snacks (they have their own “gluten” kitchen downstairs), but I haven’t baked with wheat flour in years. You might expect that our kids complained or have been begging for ‘regular’ food again, but they’ve actually done the opposite! Our oldest has repeatedly told me that I’m a better cook since we started eating gluten free, and they often say how much better the gluten free food tastes. That’s why I love dishes like this gluten free tamale pie. They taste great to everyone, and everyone can eat the same meal, together. Brown hamburger in a skillet for 5 minutes. Add onion, garlic, jalapeno, cumin, chili, salt and pepper and cook until done. Add tomato sauce and simmer 15-20 minutes until thickened. Meanwhile, make the cornbread by whisking together melted butter, sugar, egg, sour cream, and milk. Add flour, xanthan gum, cornmeal, baking powder, salt, and corn and whisk gently just until combined. Preheat oven to 425. While oven is preheating, put a 10" cast iron skillet in the oven with 1 T butter. If you don't have a cast iron skillet, you can use a casserole dish but only heat it in the oven for a minute or 2. Either way, pull the pan out as soon as the butter is melted. Watch it closely so the butter doesn't burn. When oven and pan are preheated, pour cornbread batter into pan. Bake for 15 minutes. Remove from oven, top with cheese, and broil for 2 minutes. If using a casserole dish instead of cast iron, continue baking for a few minutes instead of broiling. Serve with sour cream, fresh cilantro, chopped avocados or guacamole, refried beans, and/or green chiles. ***Please be sure all ingredients you use are gluten free. 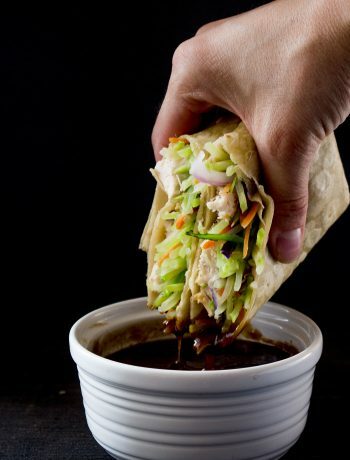 You could use nearly any fillings in this recipe – so versatile! 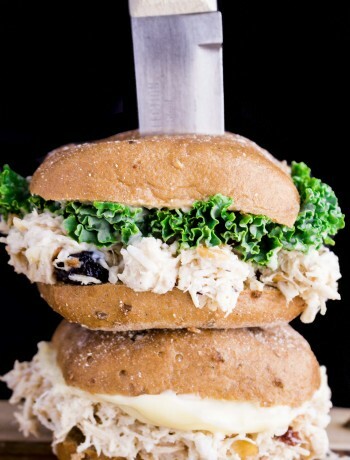 And looks delish! Mm… Basically cornbread with chili on top, right? Looks delicious! It’s more like a tamale filling, but you could definitely switch things up and use Chili instead, yum! I grew up eating Tamale Pie! It has been ages since I made it though. My family would make it with the cornbread on top of the filling instead of the filling on top of the cornbread. Either way, it make a great filling meal! We used to make it that way too, but I changed things up a little this time 😉 It’s such a fun meal, isn’t it?